In pleasant move, Tamil Nadu Government has consented to setting up of “exclusive entrepreneurial zone” for startups to flourish under NASSCOM’s guidance. It will have dedicated units for such startups and will make sure that entrepreneurs are mentored the right way. The first of such park is all set to open to the new age entrepreneurs in Tidal Park, Chennai. This park is fully equipped for entrepreneurs with 60-80 spacious workstations, 4 conference rooms and other utilities such as centralized air conditioning, leased internet lines, recharge rooms for recreational activities, cafeterias and car parking. The government will open up such similar centres in other important industrial places like Hosur, Coimbatore, Salem, Trichy, Madurai and Tirunelveli. This will help the potential entrepreneurs in establishing their business and reaching out for angel investors too. Also as per Govt sources say that these startup companies will be linked with investors and prospective customers by collaborating with the best incubators in the country. “The startup warehouses in Tamil Nadu will be integrated into ‘the 10,000 start-up’ programme. As a major step to support young entrepreneurs, from 2014-15 onwards, this government will make available 10% of space exclusively for Information Technology Incubation Centres as ‘Warehouses for Startups’ in all information technology parks developed by the government. These centres will promote new ventures and assist upcoming entrepreneurs by creating an appropriate ecosystem”, the government order read. Nasscom will be an active knowledge partner and will help the smooth functioning of the Startup warehouse. Nasscom will also place a professional team to look after day to day operations. The TN government is truly happy with Nasscom lending such support. The concept of the startup warehouse was first introduced in Bangalore. The whole concept of startup warehouse involves providing startups the infrastructure to flourish, attract investments and prospective investors from India and around the globe. With the good pull, the whole purpose is to make our country self-sufficient and help innovative entrepreneurs make a mark in their field. Inaugurated in Bangalore’s Diamond District city limits, the office is a well-equipped 10,000 sq feet facility. A second such start-up warehouse was set up in Kolkata. This seems to be a huge hit that NASSCOM is planning to start the same in Pune, Hyderabad and Mumbai by 2016. Each seat in the office costs around Rs. 3500- Rs. 5000. Facilities like water, electricity, power back up etc are being maintained by the governments itself. Currently, only 19 startups are utilizing the Bangalore NASSCOM facility and overall 51 startups have used the Bangalore facility. Many entrepreneurs seem to like the facility provided and many such startups are rumored to have saved enough money to move into their own buildings. Bookpad, a startup operating out of the Bangalore’s startup warehouse was acquired by Yahoo Inc in September 2014. India being the third largest start-up economy, this is surely a wise move for NASSCOM. 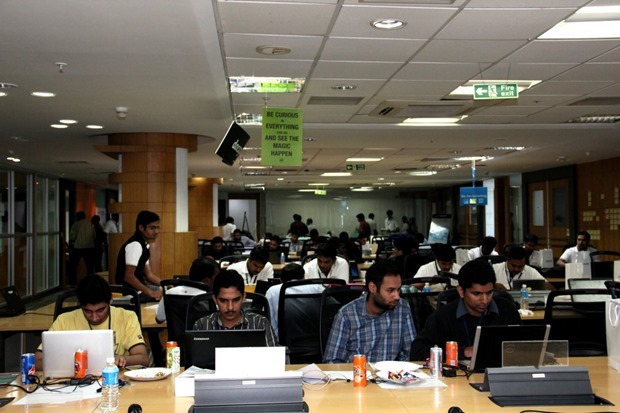 "NASSCOM Paves Way For A Third Startup Warehouse In Chennai", 5 out of 5 based on 1 ratings.